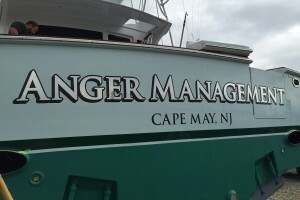 Cape Island Graphics, located in Cape May, NJ specializes in custom vinyl graphics that can be applied to whatever you need. Bringing twenty years of graphic design experience to the vinyl lettering field, not only gets you an exceptional eye for detail but a strong background in cutting edge design. From small window graphics to large restaurant signage, CIG prides itself on satisfying the needs and vision of it’s customers. Clever color combinations and strong design can make a huge visual difference. CIG builds relationships one customer at a time and knows that meeting your deadlines and ensuring the highest standard of quality requires a personal touch. For exceptional service and cutting edge design, give Cape Island Graphics a try. You might find out there is more than one service we can provide for you and your business. If you have an idea, Cape Island Graphics can make it a reality.